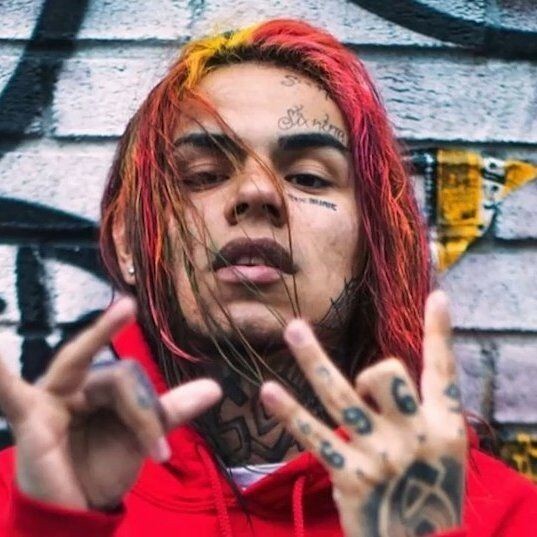 6ix9ine’s manager Tr3way is reportedly a person of interest in two separate shootings that occurred in Brooklyn. Law enforcement officials say that Tr3way may have fired a shot inside of Barclays Center. The shot was due to an altercation with 6ix9ine’s rival Casanova and his camp during a boxing bout between Adrien Broner and Jessie Vargas. Earlier that day, cops say that Tr3way may have also fired two shots at a car that was trailing 6ix9ine’s vehicle. Police sources believe the shooter in both surveillance videos resembles Tr3way. Witnesses say that Tr3way jumped out of the car and shot at a vehicle that was following them. 6ix9ine reportedly appears in the video wearing a hood, so his signature neon hair is not visible.